Summary: Fairies are all around us, but they can be shy and hard to find. You have to really seek them out. The best way is to build a house with soft, fun furnishings, and some flower petal stew to eat. If you’re lucky, a fairy will move in and become your friend, teaching you to fly and keeping you safe with her magic. She may not stay forever, but you should never trap a fairy. Let her go, and some day she and her friends will return. 32 pages; ages 4-8. 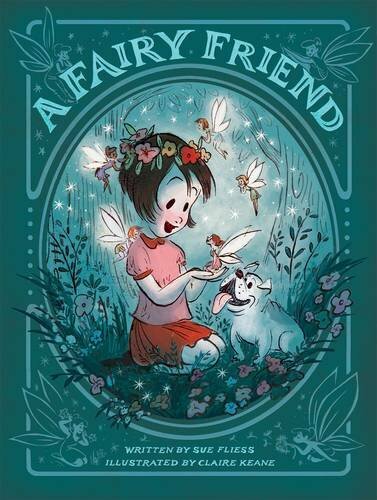 Pros: Rhyming text and Disney-esque pictures (the illustrator is a former Disney animator) will spark the imagination of young readers, who will undoubtedly want to try to lure a fairy or two to their own homes. Cons: It would have been nice to have a boy join the girl protagonist. I bet boys would enjoy making fairy houses, too.